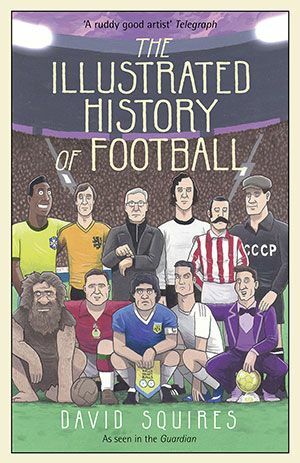 In The Illustrated History of Football, his first book, WSC contributor David Squires (who apparently does a bit of work for the Guardian) relives football’s most glorious moments and meets its greatest figures. In a sport full of handsome paycheques and corporate sponsors, he also casts a critical eye over corrupt backroom workings and helps pierce football’s overblown balloon. Hardback, with a cover price of £12.99, WSC readers can save £1, or £2 if they're a subscriber.